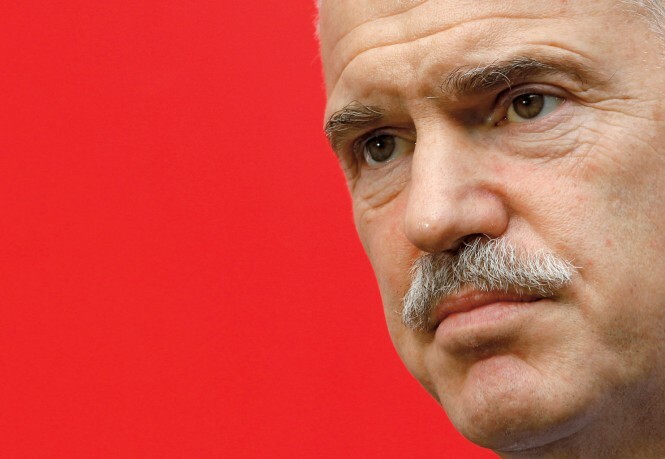 (GREEK NEWS AGENDA) Socialist International (SI) and PASOK party President George Papandreou addressed the International Athens Symposium (May 12), titled “Social democracy and the challenges of the future. What will the progressive model for Europe be?” at the Athens Concert Hall. 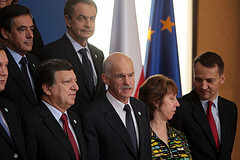 In his speech, Papandreou stressed that the challenge for the European socialist parties today is the quality of democracy. The goal should be to guarantee social rights, access to knowledge and green development. 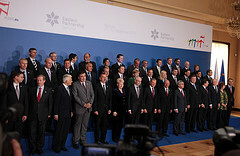 Prominent European politicians, including French socialist Segolene Royal, former Italian premier Massimo d’ Alema and former Spanish PM Felipe Gonzalez also attended the symposium.